Join us on December 5, 2015 from 1-3pm in Jasper Winery‘s Barrel Room for an open house to meet the board of the Des Moines European Heritage Association and planning committee for Christkindlmarket Des Moines 2016. Take a break from your holiday shopping to warm up and learn about what we have planned for the event and how you can become involved. 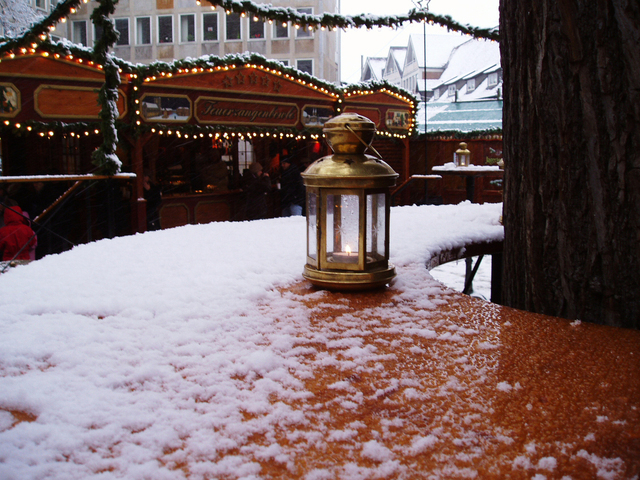 Enjoy warm coffee, sweet treats and Jasper Winery’s Glühwein while they last! Please RSVP on the Facebook Event Page. We hope you can join us! A small group of inspired and dedicated volunteers have been working tirelessly since January 2014 to not only form a non-profit (Des Moines European Heritage Association), but to prove to the City of Des Moines that we have an event worth producing. And they agree with us! This is where you come in! For this event to be successful, we need the financial support of individuals and organizations that value culture, heritage, diversity, their local community and local businesses. Opportunities start at $50 at the “Friends of Christkindlmarket Des Moines” level and go on up to “Presenting Sponsor”. If you’re familiar with Christmas Markets around the world, you know that the vendor stalls/huts add such a wonderful feeling to the event. There are several opportunities to sponsor the fabrication of a stall/hut…at least 20 opportunities! The great thing is that the stalls/huts will last for many years to come. We’re working with the Waukee High School Industrial arts program to design and build all of the stalls; we just need to cover the cost of the materials. Please call Suzanne (515-250-6366) or send her an email to learn more! If you have any questions, please email christkindlmarketdsm@gmail.com.